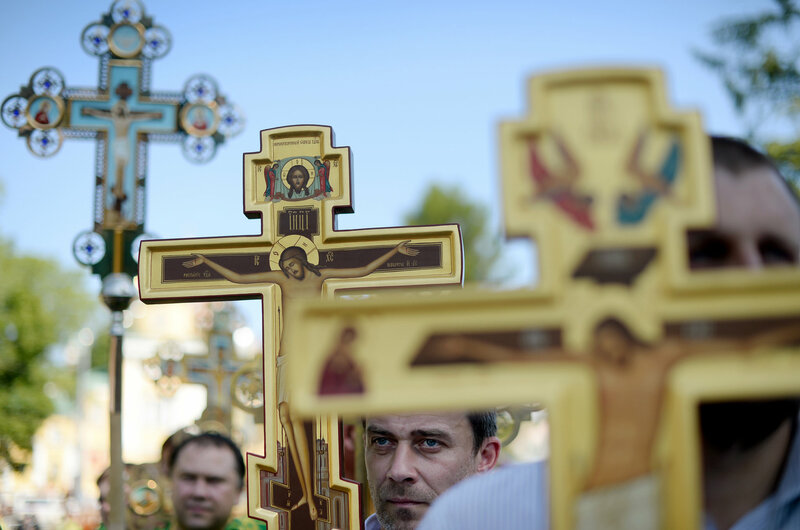 The Times has a great article, “Putin Strives to Harness Energy of Russian Pilgrims for Political Profit” on one aspect of Putin’s shameless use of the Church to foster patriotic — and racist and nationalist and rabidly anti-semitic — feelings among Russians that he hopes — and will probably succeed — will strengthen support for him among ordinary Russian people, perhaps the majority. He has seized upon the cult of St. Sergey of Radonezh and is trying to make him a symbol of Russian unity for our times. There are voices, historians and even clerics from inside the Church, that are resisting this manipulation, but the vast majority thinks it’s all just wonderful. One is moved by Russian intensity and emotionalism on all levels, not least by the massive reserves of faith they access so easily, but their ability to let themselves get swept away by one grand ideological vision after another, completely forgetting the previous one and the disaster it led to, is just plain stupid often. I was talking to an American friend of mine who was here with me in the eighties, and she commented on how people seemed smarter then, and completely cynical about any ideology they were fed, while now even educated, urbane people seem to swallow up anything they’re presented with. The consciousness of repression may be a formidable sharpener of one’s critical capacities; the illusion of freedom may lead to a dangerous dulling of those critical skills — the non-stop-yacking-about-freedom U.S. is probably your best example. Do those two always have to be the only choices for Russia? 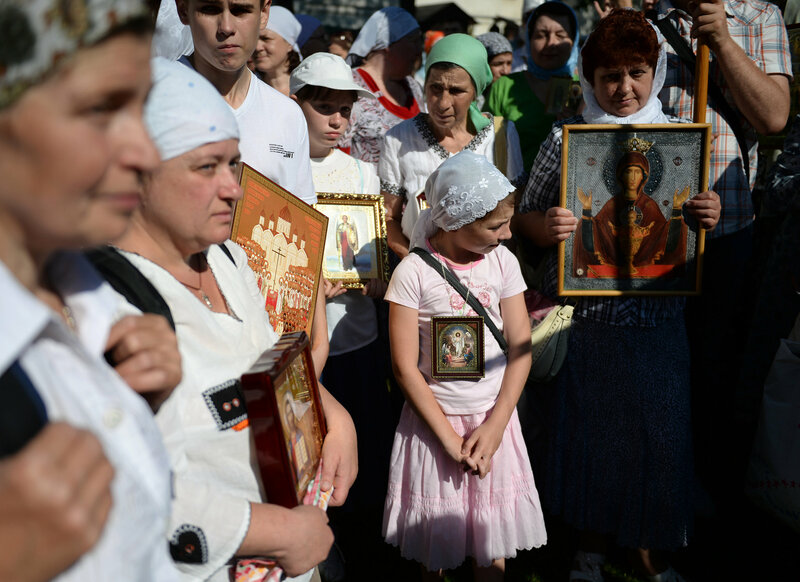 Does anybody remember that Putin was a KGB agent for decades — not just a cop, an agent of an instrument of mass state terror with perhaps no equal in history — and that part of his job was ruining the lives of anyone who engaged in the kind of religious pilgrimage these people are? No. It’s like that never happened. And though my stomach turns when I see him on news footage solemnly standing with his candle at Easter, engaging in the non-stop crossing and bowing that Russians do in church, I’m also just stunned by his brazenness. The word Позор (pa-zor) in the heading of this post means “shame” but as I was trying to find somewhere to cut and paste it from I came across its etymology. It originally meant “remarkable,” or someone or something remarkably “watchable,” from the root “zor” for vision. And this is, in fact, the response Putin provokes: you simply stand there, staring and dumbfounded by his shamelessness. As for Russians themselves, sometimes I get so angry, not just at their acceptance of the political manipulation of an Orthodox Christianity that’s important to me, but at their general passiveness, gullibility, and willingness to play along with anything that promises even some tiny alleviation of their suffering, that I just want to think that they deserve their fate. Τρέξτε να προσκυνήσετε…πρόβατα…run and prostrate yourselves, sheep, like you did to Stalin before and to the Tsars before that. 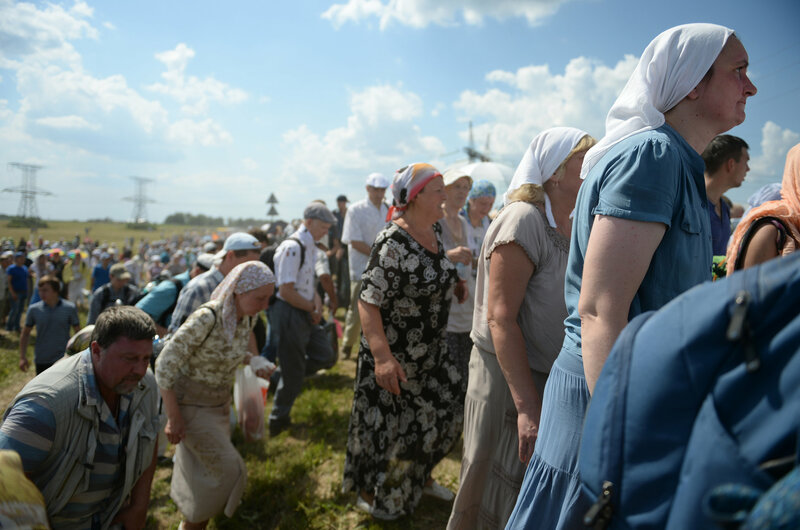 Beyond spiritual matters, the crowd at the birthday commemoration at the monastery here, 45 miles north of Moscow, was unquestionably in the Putin camp. Many compared him to a czar, and meant it as a compliment. “He has just not been anointed,” said Vladimir Bubelev, 60, an officer in the naval reserves wearing a brass pin showing the profile of Nicholas II, the last czar, on his lapel.